Math calculations along with the sun, moon and stars are very hard to fake and cover up. God provided signs that men and Satan could not change that point to the season of the end times. In this case the upcoming Tetrad of blood moons could point to one of the signs given in the bible of the season of the end times. 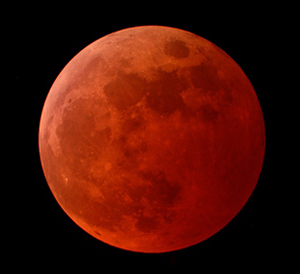 In 2014 and 2015 four consecutive total blood moon lunar eclipses, known as a tetrad. During this century, tetrads occur at least six times, but what’s interesting is that the only string of four consecutive blood moons that coincide with God’s holy days of Passover in the spring and the autumn’s Feast of Tabernacles occurs between 2014 and 2015 on today’s Gregorian calendar. In 1948 and 1967 it happened and again in 1949 and 1950 on Passover and Feast of Tabernacles. There were no tetrads in the 1800s, the 1700s, the 1600s. In the 1500s, there were six, but none of those fell on Passover and Feast of Tabernacles or any feast days and then in 1492 when the Jews were removed from Spain. Solar eclipses, happen on the first day of the Hebrew year and the next on the high holy day of Rosh Hashanah, the first day of the seventh Hebrew month. Both of these take place in the 2014-2015 years. In 2015 the religious year is beginning with the total solar eclipse, two weeks later a total lunar eclipse on Passover, and then the civil year beginning with the solar eclipse followed two weeks later by another total blood red moon on the Feast of Tabernacles all in 2015. 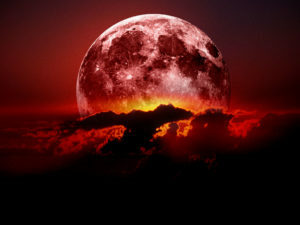 Blood-red moons on the first day of Passover and the first day of Sukkot on back-to-back years has occurred seven times since 1 A.D. Three of these occurrences were connected to 1492 (the Spanish Inquisition), 1948 (statehood for Israel and the War of Independence), and 1967 (the Six-Day War) — some of the most significant days in Jewish history. The Gregorian calendar can vary by weeks from year to year. But, by the Hebrew calendar, the dates for each festival are rigid. Passover (or Pesach) begins on the 15th day of the month of Nisan, and Sukkot on the 15th of Tishrei. And him Herod and Archelaus and Philip, Annas and Caiaphas, with all the people, delivered to me, making a great uproar against me that I should try him. I therefore ordered him to be crucified, having first scourged him, and having found against him no cause of evil accusations or deeds. And at the time he was crucified there was darkness over all the world, the sun being darkened at mid-day, and the stars appearing, but in them there appeared no luster; and the moon, as if turned into blood, failed in her light. This Tetrad of blood moons on the first and last days of the 7 feasts 4 times in a row won’t happen again for centuries. *1965-66 (this was 7th Shmita/49th year, following year 1966-67 is Jubilee) Israel captures Jerusalem in 6 day war. 12And I beheld when he had opened the sixth seal, and, lo, there was a great earthquake; and the sun became black as sackcloth of hair, and the moon became as blood; 13And the stars of heaven fell unto the earth, even as a fig tree casteth her untimely figs, when she is shaken of a mighty wind. 14And the heaven departed as a scroll when it is rolled together; and every mountain and island were moved out of their places. 25And there shall be signs in the sun, and in the moon, and in the stars; and upon the earth distress of nations, with perplexity; the sea and the waves roaring; 26Men’s hearts failing them for fear, and for looking after those things which are coming on the earth: for the powers of heaven shall be shaken. 27And then shall they see the Son of man coming in a cloud with power and great glory. 28And when these things begin to come to pass, then look up, and lift up your heads; for your redemption draweth nigh. 24But in those days, after that tribulation, the sun shall be darkened, and the moon shall not give her light, 25And the stars of heaven shall fall, and the powers that are in heaven shall be shaken. 26And then shall they see the Son of man coming in the clouds with great power and glory. The people in Noah’s day knew that they had 120 years to enter the ark. They knew when the 120 years was drawing to an end. But they did not know the hour or the day that the door to the ark would be closed. They did not know when their last opportunity would come to enter the ark. Some of the people may have thought that if it started to rain then they would go into the ark. But by the time the rain started it was too late. The door to the ark had already been shut and no one else could go in. The 70 weeks started counting in 1948 or 1967? Israel was recognized as a nation in 1948, but was not able to take back Jerusalem. Either way the last 7 years don’t start until Israel’s covenant for the land is confirmed by the people that destroyed the Temple in 70 AD – Daniel 9:26~27. Unless the covenant was confirmed by the United Nations in 1947. The 49 years would not match the eclipses in that case. The concept of connecting the blood moons to the Daniel prophecy was done by Mark Blitz. 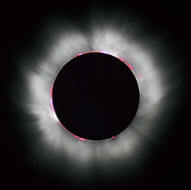 I think the connection with adding 7×7 (49) to the 1967 date and it matching the eclipse to the day is interesting. It’s also interesting that the 120 great jubilee theory ending at the same time is interesting, 360 days per year from June 7, 1967 when Israel entered Jerusalem is exactly 17,640 days to Sept. 23, 2015.